Photo by Tadhanna via Pixabay. When opening a restaurant, owners have a lot of issues to worry about and much to learn: getting capital, figuring out what kitchen equipment to order, how to market the business and what to pay employees. That latter issue is what can get some restaurant owners in trouble with the Department of Labor. Wage-and-hour lawsuits are common across the restaurant industry and cost employers money to resolve or settle. Common complaints include issues like off-the-clock work, failure to pay overtime, not adhering to tip pool regulations and misclassification of employees as exempt from minimum-wage requirements. Multiple restaurant and bar employees contacted Houston Food Finder to relate their experiences with having a portion of their earnings taken by employers and paid to staff not legally eligible to participate in tip pools. Most would not go on the record for fear of repercussions within the industry and from current employers. After some investigation, some of the allegations were deemed invalid — which shows that confusion about tipped wages is an issue for employers and employees alike. In other cases, employees were unwilling to go on the record for fear of negative consequences like upsetting a current employer or damaging their reputations within the industry. Restaurants normally employ a mix of owners, managers and supervisors who may or may not be on salary, “front of house” employees who receive tips from customers such as servers and bartenders and “back of house” employees who do not. In Texas, restaurants can pay servers and bartenders only $2.13 per hour if they make $20 or more in tipped income per month. However, if the hourly pay plus tips don’t equal minimum wage, which is currently $7.25 per hour, the employer has to to make up the difference. Tip pools, or combining tips in a common fund to distribute to workers later, are a typical and legal practice in the restaurant and bar industry. 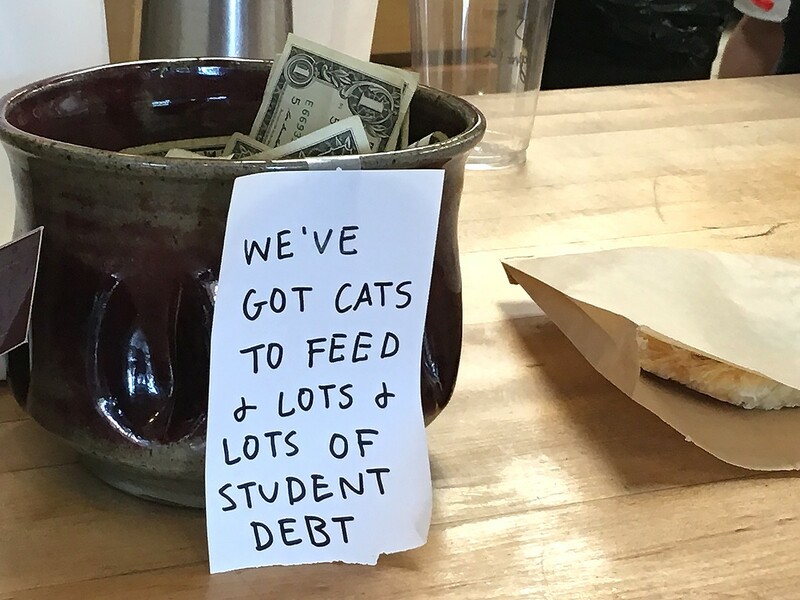 However, the Fair Labor Standards Act (FLSA) prohibits a portion of the tip pool from being distributed to employees who do not customarily and regularly receive tips. In March 2018, the FLSA was updated, allowing for back-of-house staff like cooks and dishwashers to take part in a tip pool, provided the company paid employees at least the federal minimum wage. However, the changes still expressly prohibit tips from being retained by the company, managers or supervisors. According to Andrew Dunlap of Josephson Dunlap, an attorney who specializes in wage fraud, the FLSA also includes an anti-retaliation provision which prohibits companies from penalizing employees who pursue legal action against employers who have illegally redistributed tips. “The anti-retaliation provision enacts penalties and allows us to sue a company in addition to back wages. That’s what gives ‘teeth’ to the FLSA. Whatever you’re owed in back wages is a finite amount of money, but where you can get to catastrophic numbers in settlements is when someone is being retaliated against. That’s when the jury can come up with a number they want to compensate the person for retaliation and punish the company. That is what keeps companies in line, so to speak, and prevents them from lashing out against employees,” Dunlap said. Employees are entitled to unpaid wages for a two-year “lookback” period, or if they have proof of willful violation of FLSA law they can be entitled to a three-year lookback period. Additionally, all attorney’s fees are paid for by the employer, so no costs are placed on workers. The original location of Doris Metropolitan in New Orleans was sued over mishandling employee wages. The owner claims the Houston location is in compliance though, despite complaints received from former employees. Photo by Ausaguy via TripAdvisor. Employers on the wrong side of the law may find themselves paying a lot of back wages later, as well as damages. As an example, in February of this year after a Department of Labor investigation, the operator of Don Carlos Mexican Restaurants at 6501 Southwest Freeway was ordered to pay $97,080 in back wages and an equal amount in liquidated damages to 24 workers to resolve overtime and record-keeping violations. 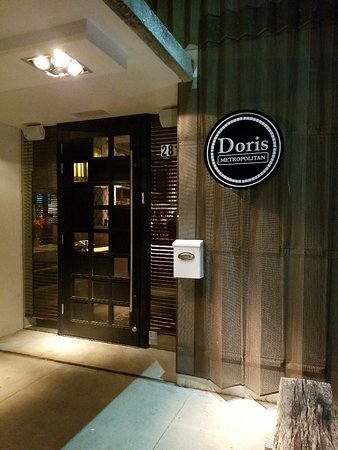 The New Orleans location of Doris Metropolitan was sued by some of its employees in March 2016 in the U.S. District Court for the Eastern District of Louisiana. In May 2018, the case reached a joint settlement to compensate the employees for lost wages, unpaid overtime wages, and included damages and all attorney’s fees. Houston Food Finder was contacted by two different employees with concerns about the Houston location. “They’re still paying their managers from the tip pool but they just call them ‘service captains’ now,” said one former employee. While a title change might look like a loophole for employers, it’s not. Under FLSA, an employee’s job title does not determine their status. If an employee called a service captain passes the executive exemption test they are, under the FLSA, an agent of the company and it is illegal for them to take part in a tip pool. “Employees who pass either the execution exemption or administrative exemption tests are managers and cannot legally take part in a tip pool. In order for someone to be legally determined to be a manager they must be compensated on a salary basis, their primary duties must be managing the enterprise, they must customarily and regularly direct the work of at least two full-time employees, and they must have the authority and ability to hire or fire others,” Dunlap explained. With this particular complaint, though, Doris Metropolitan seems to be operating within legal boundaries. Managing partner and owner Itai Ben Eli denied that service captains are managers and said these are hourly employees, not salaried, and thus would fail one of the FLSA executive exemption test qualifiers. It is, though, another example of confusion surrounding current tip laws. Dunlap also provided clarification on the requirements for filing a suit under the FLSA. “For a collective action under FLSA to be filed, a single employee can file suit against the business. Multiple parties are not needed and no proof has to be provided by the employee for the suit to move forward. The burden of proof is on the employer to prove that they paid all employees properly under the law,” Dunlap said. The Department of Labor launched a pilot program to assist employers with resolving wage disputes without having to go through costly litigation. The Payroll Audit Independent Determination program (PAID), facilitates the resolution of potential overtime and minimum wage violations under the FLSA. The program is not eligible to companies that have been sued for FLSA violations in the past five years or are currently being sued for violations. Although the wage law surrounding tips can be difficult to understand, most restaurant owners and managers want to run a successful business that also treats employees fairly. The recent FLSA changes and wage resolution support from the Department of Labor are two efforts that will hopefully alleviate the need for — and financial cost of — litigation. Very good information….too many restaurants find themselves including improper staff positions in their tip pool. I always recommend my clients follow the FLSA regulations regarding job positions customarily and regularily receiving tips. Having been through a couple of wage and hour audits, I have learned that those are the regulations that get enforced.